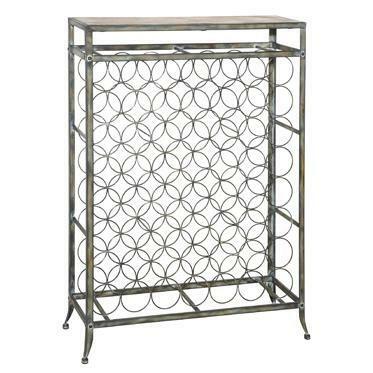 Combining rustic and industrial, the Driftwood Iron Nesting Tables stand on sturdy metal legs. The weathered tops provide ample tabletop and display space. 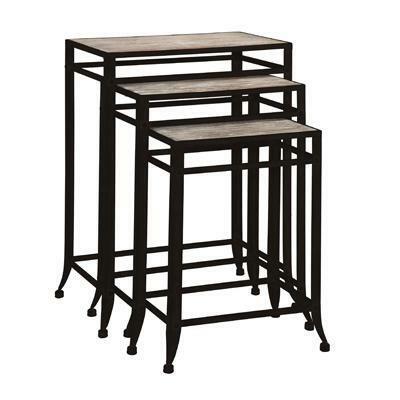 This set of three nesting tables feature sizes that stand at 24.8", 21.75" and 18.5". The eclectic look of these pieces will add instant charm to your home without taking up too much space. Some assembly required. Additional Information Some assembly required. Combines rustic and industrial elements. Weathered looking top sits atop sturdy metal legs. Includes three tables, small, medium and large. Metal Finish. Some Assembly Required. Metal and Fir.